The PMEA judging panel comprises a range of experts with a breadth of knowledge and experience, from pharmaceutical marketing specialists to leading management consultants to top business school academics. Richard Bartlett is an associate partner at McKinsey & Company in London and a leader in McKinsey’s Healthcare and Health Systems practice, and Medical Products practice. Richard serves clients across both the public and private sector across Europe and the Middle East on a broad range of topics. Previously, Richard was the co-Founder and Deputy Director of ‘Innovations in Healthcare’ (formerly known as the International Partnership for Innovative Healthcare Delivery), a non-profit established by McKinsey, the World Economic Forum and Duke University. Richard has supported the preparation of a number of landmark health systems reports. Including in 2009, “Unlocking Productivity: Lessons from Entrepreneurs Around the World” that was presented at Davos. In 2012, he co-authored “A Neglected Resource: Transforming Healthcare through Human Capital” which was presented at the Global Health Policy Summit in London. Richard has authored various other reports and case studies on healthcare innovation. Richard holds a first class degree from the University of Warwick in Industrial Economics where he was the deputy coordinator of the Warwick Economics Summit in 2008, the largest student-run conference in Europe. Paula Bellostas Muguerza, principal, Pharmaceutical & Healthcare and Digital Transformation Team, A.T. Kearney. Paula is a member of A.T. Kearney’s global pharmaceutical and healthcare and digital transformation practices. She has consulted for nearly a decade in the pharmaceutical industry, helping pharmaceutical and biopharmaceutical clients formulate strategic responses to changes in the healthcare environment, regularly working with senior management teams. Her current area of interest is understanding the threats and opportunities that digital technologies bring to the pharmaceutical value chain. She has contributed to many industry articles and is a non-executive director for a digital health start-up that focuses on using digital technologies to achieve sustainable human performance. Outside of A.T. Kearney, Paula is an ambassador for the Samaritans charity working on corporate outreach and is an active blogger on mental health in the workplace. Linda Cowie, Healthcare Engagement and Behaviour Change Consultant. Linda has over 25 years’ international director level experience in healthcare marketing and communications spanning both client and agency side. Passionate about facilitating patient engagement and empowerment, Linda has specialised in this area over the past 15 years. Her focus has been on identifying and addressing the challenges associated with facilitating delivery of behaviour change through effective healthcare information and communication. Her consultancy in this area is built from both commercial experience and independent academic research via an MPhil completed in 2012. Linda is also an Advisory Group member for the Patient Information Forum (PiF) and has presented at several conferences and workshops. 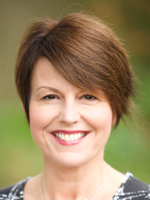 Deborah Evans FFRPS FRPharmS FRSPH is managing director of Pharmacy Complete (The Tipping Point Ltd), whose purpose is to help patients to live well for longer by enabling pharmacy to have a healthier future. In pharmacy, our professional credibility, understanding of medicines access, health policy and our extensive professional network ensures that we can engage with the right people, have the conversations that matter and develop solutions that work. We help pharmacy be more successful by supporting business sustainability, training for the pharmacy team, project management, service design and implementation and much more. Deborah led the national, award-winning Healthy Living Pharmacy (HLP) pathfinder work programme on behalf of the national pharmacy bodies and the Department of Health, initially project managing the acclaimed Portsmouth HLP pilot and now offers a complete suite of services and resources to enable pharmacy teams to make a difference to the health and wellbeing of their local population. She is passionate about enabling more women to take senior positions in the pharmacy profession and is founder of the highly successful Women in Pharmacy Facebook community which has 7000 members across the world. Her professional achievements include being made a Fellow of the Royal Pharmaceutical Society (RPS), serving the RPS English Pharmacy Board, and becoming a Faculty Fellow. She is also visiting senior lecturer at King’s College, London. Deborah feels it is important to keep her pharmacy knowledge up to date and feet firmly planted in the real world so still works regularly in community pharmacy within a GP practice. 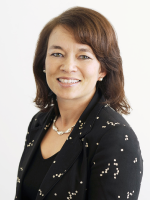 Karen Fraser is managing director of Acuitas, a consultancy providing astute commercial insight and international KOL perspective to the biopharma and investment communities. She has over 30 years' industry experience, which includes senior sales and marketing positions in companies such as Amersham International, Glaxo Laboratories and Lorex Synthélabo. Karen also set up a successful marketing consultancy specialising in the provision of commercial planning and implementation for companies wishing to enter the UK market. Prior to setting up Acuitas, she spent 15 years as vice president at Quintiles, providing marketing and therapeutic insight to support global Due Diligence and Business Development activities. Giorgia Leoni is one of EY’s Global Commercial Strategy Leaders in Life Sciences. She spent her career in consulting, primarily in pricing and market access strategy, for many years to later focus on business model innovation and outcomes based models. 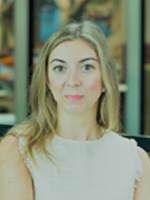 Throughout her career, Giorgia supported top life sciences companies with the launch strategy of their key assets and has recently won the Management Consultancies Association (MCA) Award for best International project for EY’s work with AstraZeneca on their first digital therapeutic. Giorgia is passionate about the diversity and inclusiveness agenda and held pivotal roles within the Healthcare Businesswomen Association for several years. 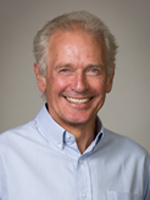 Alasdair Mackintosh is director and founder, Keyhaven Associates Ltd. He is a senior business advisor and independent strategy and transformation consultant with extensive experience in the healthcare sector. He is also a Trustee and Vice Chair of the Pituitary Foundation, a patient-focused charity which provides essential information and support for people diagnosed with a range of pituitary disorders. Over the past 24 years, Alasdair has supported many major healthcare organisations to enhance their commercial performance, develop effective digital strategies, and deliver better health outcomes for patients. He also helps entrepreneurs and investors in smaller, emerging enterprises to assess expansion opportunities, strengthen their business processes and governance, and to build effective organisations. Alasdair was previously a partner and member of the global leadership teams at PA, Eden McCallum, Archstone and Gemini Consulting. He has an MSc in Business Management from the University of London and is a Sloan Fellow of the London Business School. Craig Mills is founder of Frontera Group. He is the Group’s head of strategy with over 20 years’ experience in the healthcare sector. 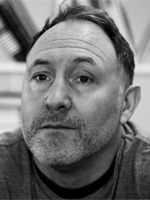 Craig is a judge and business leader on the entrepreneurship programme, Bright Ideas at Kingston University, London. He is also an active supporter of the Pathway - the Faculty for Homeless and Inclusion Health, which seeks to transform health outcomes for one of societies most deprived groups. Over the past 20+ years, Craig has led healthcare organisations driving their commercial performance, by helping them to develop strategies that centre on the patient’s experience of health. Today he runs a group of three agencies focused on the acquisition of real world evidence and, in partnership with academic teams, including Imperial College and University of Cambridge, supporting organisations in the adoption of behavioural theory to bring about the change they seek. Today, Frontera Group is one of the industry’s most prominent architects in supporting pharma to be able to bring more patient- centricity to fruition. Craig was previously managing director of McCann Health and a partner of PAN Communications. He has an MSc in Neurophysiology from the University of Oxford and MA in Marketing from Kingston Business School. 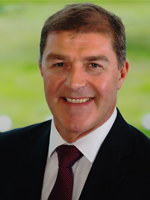 Martin Parkinson’s experience encompasses the health service, the pharmaceutical industry and management consulting. As a pharmacist he held senior roles within hospital pharmacy before moving into payer organisations to lead medicines strategy and policy across primary and secondary care. He led major initiatives including the development of one of the first joint formularies joining community and hospital medicines strategy together. Following a move to Pfizer, he initially worked in health economics and outcomes before leading payer and market access strategy and tactics for several blockbuster brands alongside joint working initiatives with the NHS. Within Pfizer he also worked across Europe and North America to develop capabilities to engage sub-national payers and develop key account management in an evolved go-to-market approach. Martin is now a member of the life sciences practice at Navigant Consulting focusing on market access and commercial strategy. Martin holds postgraduate qualifications in advanced therapeutics and prescribing sciences. 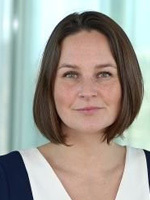 Jo Pisani is a partner leading the UK Pharma and Lifesciences Consulting Practice at PwC Strategy&. She has thirteen years of industry experience in the pharmaceuticals, energy, petrochemicals, and fast-moving consumer goods industries with BP and SmithKline Beecham where she held positions in the engineering, operations, IT, and commercial functions. Before joining PwC, she spent three years with Booz&Co, a strategic management consultancy where she focused on strategic issues in the pharmaceuticals and energy sectors. 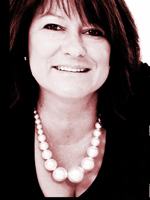 Jo assists clients developing strategy, supporting deals and conducting valuations. Her clients include Big Pharma, biotech, generics, OTC, contract manufacturers, contract research organisations, ministries of health, private equity and banks. She is a key author on PwC’s Pharma2020 thought leadership series. 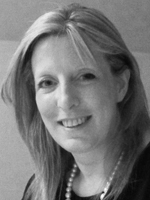 Rachael Scott is a partner leading the UK Lifesciences Practice at PA Consulting. Rachael specialises in operational and commercial improvement, leading cross functional programmes in both Biotech and large Pharma with a focus on what it really takes to make change stick. She has a passion for working with organisations that look to challenge their selves and face the disruption in the market place head on. 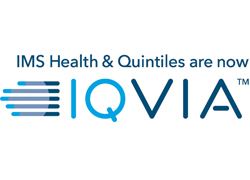 Paul Simpson is the Head of Contract Sales and Medical Solutions at IQVIA UK. He has extensive pan-European and US experience of pharma/biotech commercialisation and has held senior roles in marketing, sales and general management. Paul is a staunch advocate of account management, using environmental understanding to derive practical solutions which help clients drive healthcare forward and ultimately lead to better outcomes for patients. 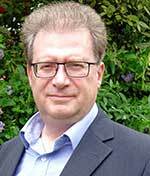 Dr Paul Stuart-Kregor is one of the three founders of The CELLO Health Consultancy and has worked in pharmaceuticals for 30 years, both client side and consultancy. Paul has wide-ranging pharmaceutical, OTC and consumer marketing experience in UK and overseas, with expertise focused in the areas of market scoping and market insight for new and existing therapy areas, marketing strategy (Phase II to in-market compounds), brand development/repositioning, organisational design and process development plus marketing and operational excellence. He holds an MA from Cambridge University and a PhD in Reproductive Endocrinology. He has been extensively published across a range of industry journals.